Football season is in full swing and my boys are really getting into the game! I'm always looking for ways to incorporate things they love into learning opportunities, and football is a great way to practice counting by 10. When I saw the new collector's edition packages of one of their favorite snacks I knew I had the perfect pieces for a football themed counting game. 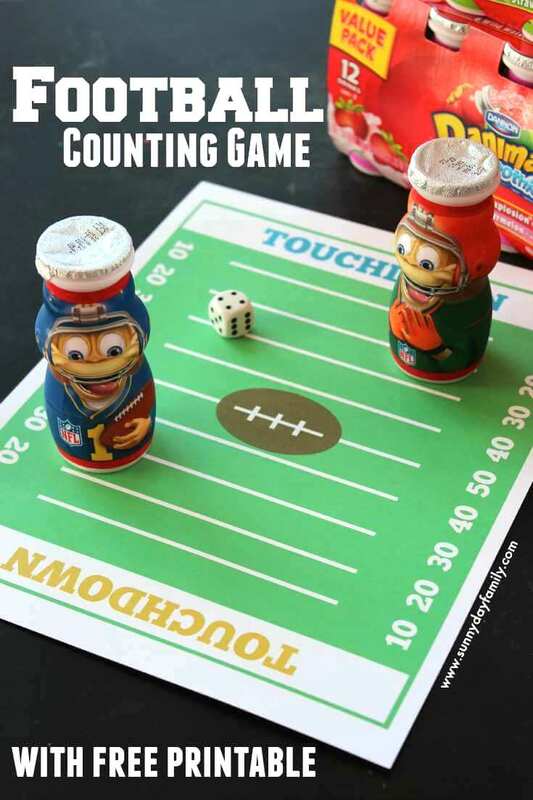 The inspiration for our football themed counting game came during a recent trip to Walmart. 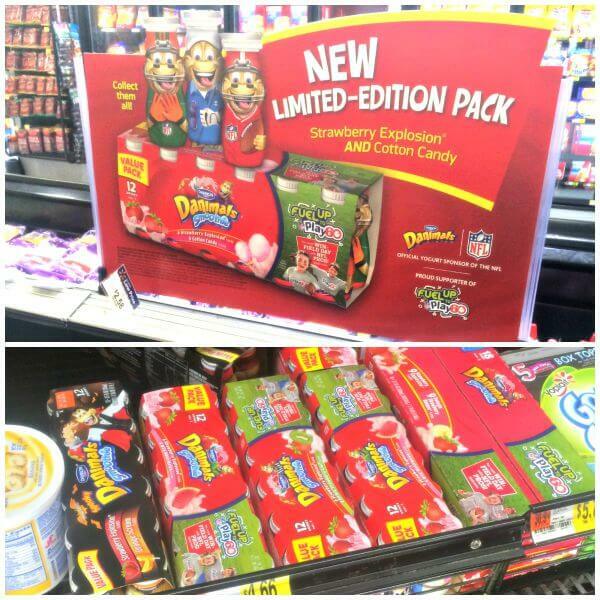 I was in the dairy section when I saw this display for specially marked Dannon® Danimals®. My boys love Dannon® Danimals® - it's a perfect snack to fuel their adventures any time of day. 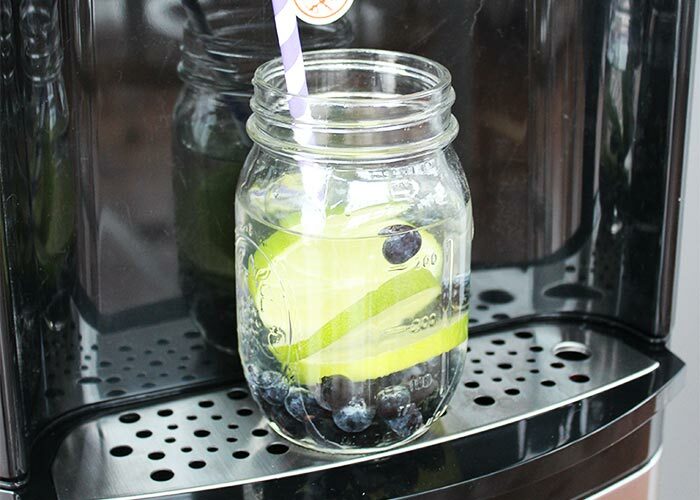 Easy to take on-the-go and filled with "Only the Good Stuff®" - no high fructose corn syrup or artificial flavors. It's also a good source of calcium and Vitamin D.
These sports-themed packages caught my eye - especially when I saw that in specially marked packages you could find the "Golden Bongo" and WIN a Play60 Field Day for your school with NFL players. How cool would that be? I grabbed two flavors and decided to make a really fun football game to go with them. To play, simply print out your football field game board. Put it on a table with the dice and a Dannon® Danimals® player for each child. Invite your child to roll the dice and count the number of dots on top. Then have them count that number of lines on the football field, by counting by 10! Have them move their player to the correct line. Repeat until they reach the end zone and score a touchdown! Touchdown dances are encouraged. My boys loved this game! They're just starting to learn to count by 10 and by using the football field they were able to practice this skill with something that held their interest. It was super fun and a great learning experience. Plus they got to enjoy one of their favorite snacks! Dannon® Danimals® helped us fuel this learning adventure - check out more great ideas here. Which idea are you inspired to try? Leave a comment and let me know!